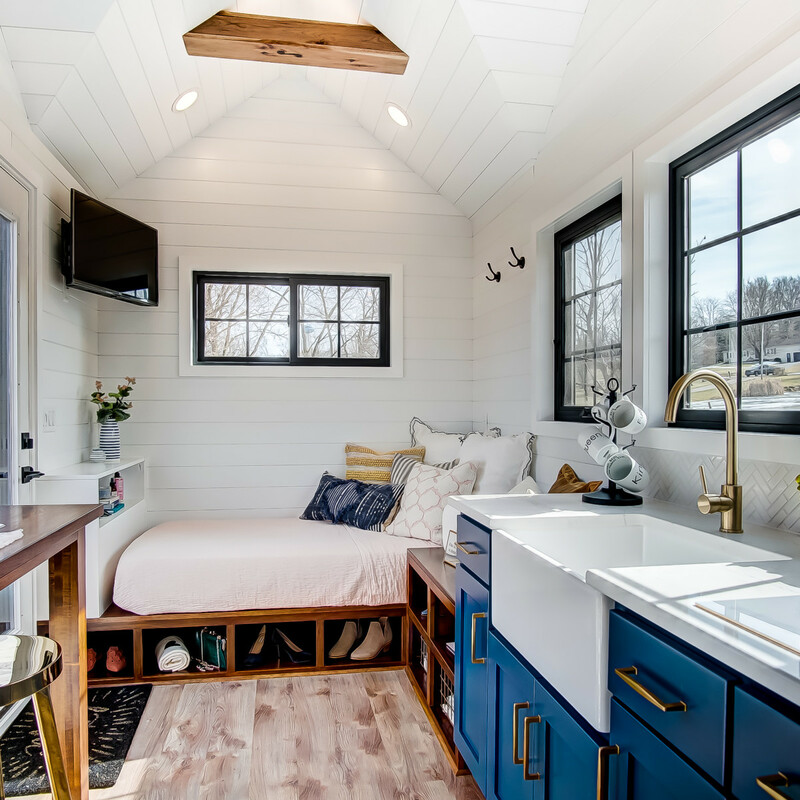 Tiny homes are still big curiosities, and Dallasites who want to peek inside one are getting their chance in coming days. 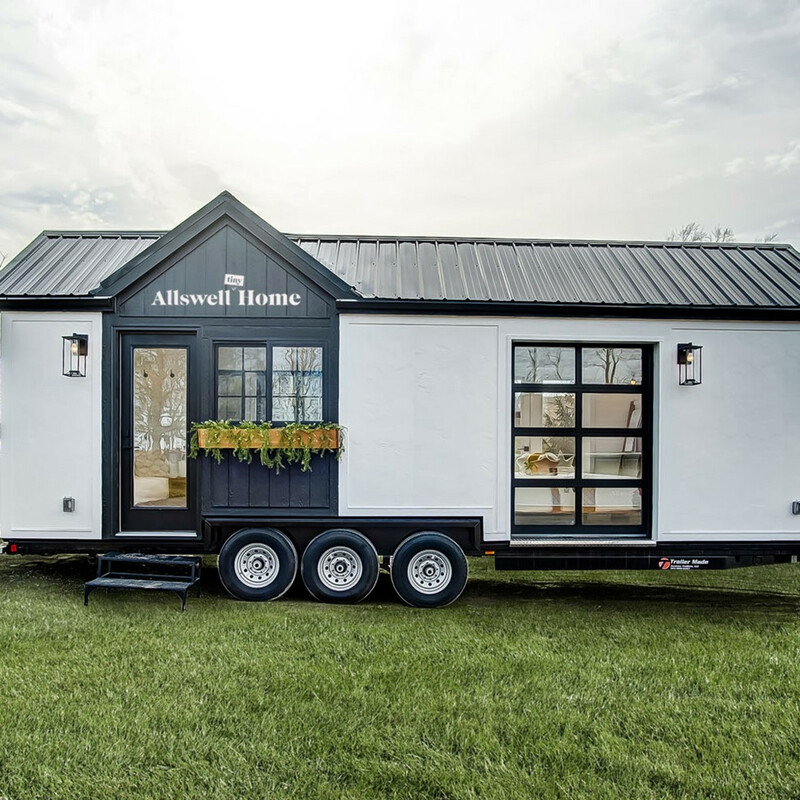 Digital home brand Allswell has taken a tiny-home retail shop on a cross-country tour, which is making its way to Plano and Dallas, March 21-24. 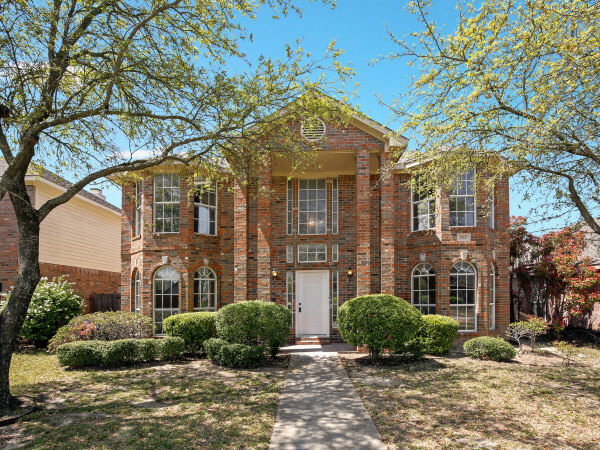 First it will spring up at the Neighborhood Goods store in Plano, from 11 am-7 pm March 21. 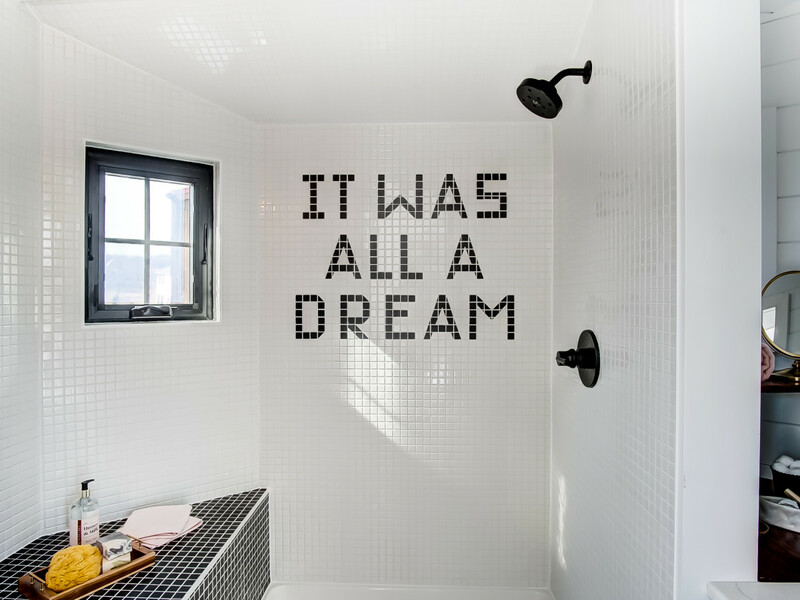 (The brand is a part of Neighborhood Goods' permanent retail lineup.) 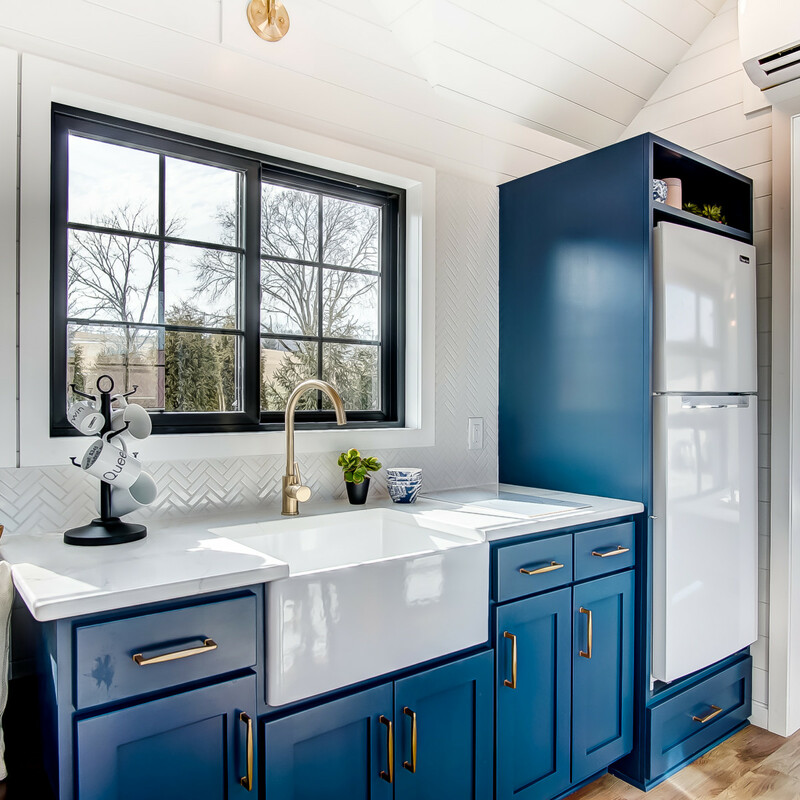 In addition to home tours, they'll be serving light bites from Prim and Proper and offering bouquets from a mini flower shop. 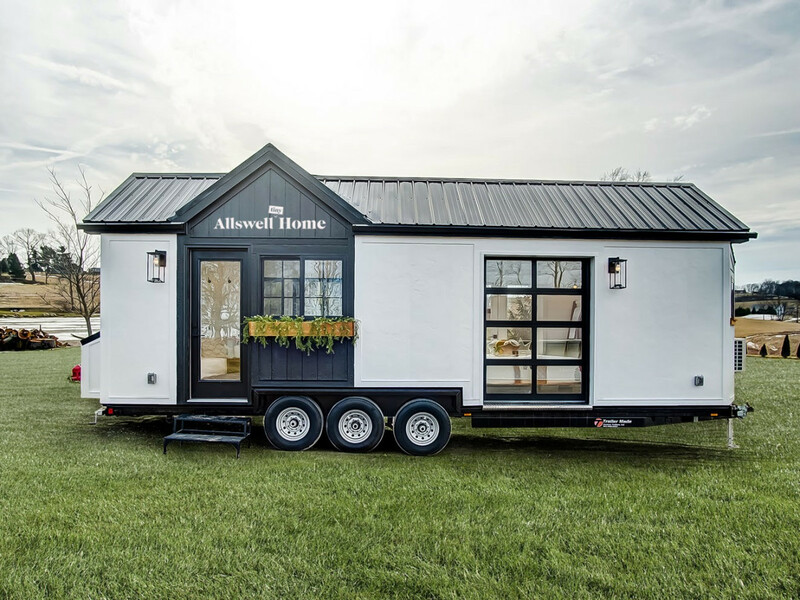 Then the tiny house-on-wheels rolls to Dallas, where it will set up shop at 4513 Travis St., 11 am-7 pm March 22-24. 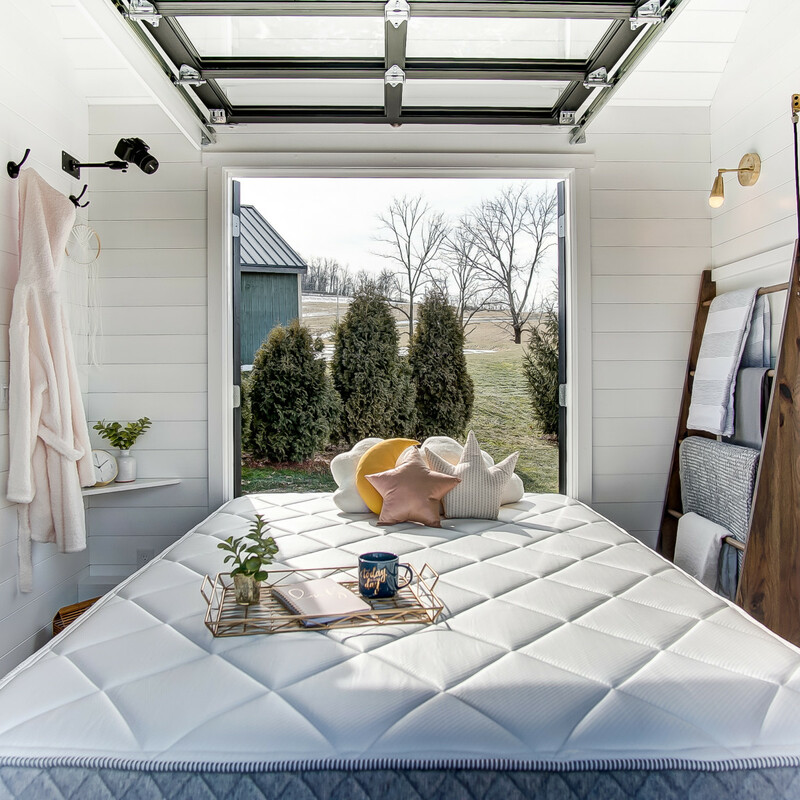 The 238-square-foot, custom-built and fully functional house will be open for customers to step inside, walk though, explore, and even flop on the bed to test out Allswell’s mattresses and bedding. 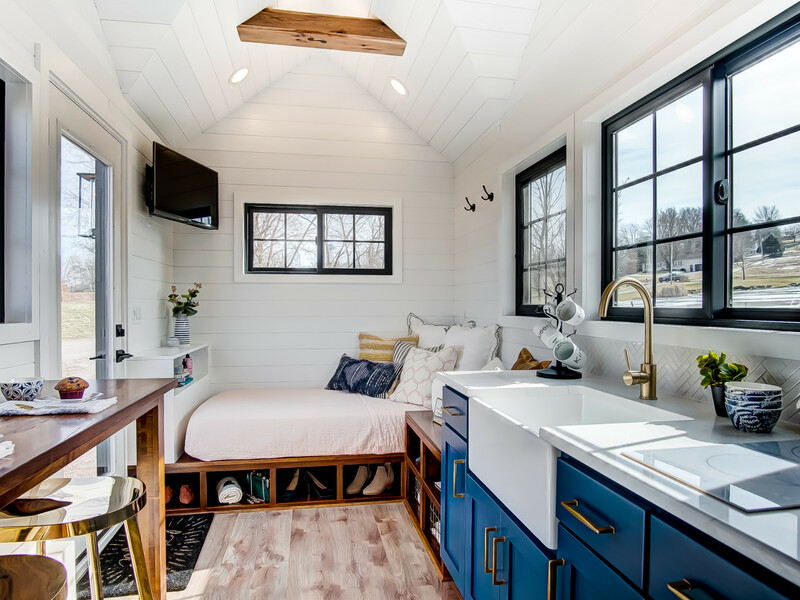 Built by famed tiny-home builders Modern Tiny Living, the home has four rooms, which are filled with Instagrammable nooks and crannies like a custom-tiled “It Was All a Dream” shower and a bird’s eye photo booth looking down on the master suite mattress, where visitors cans pose among pillow props and customized signs. 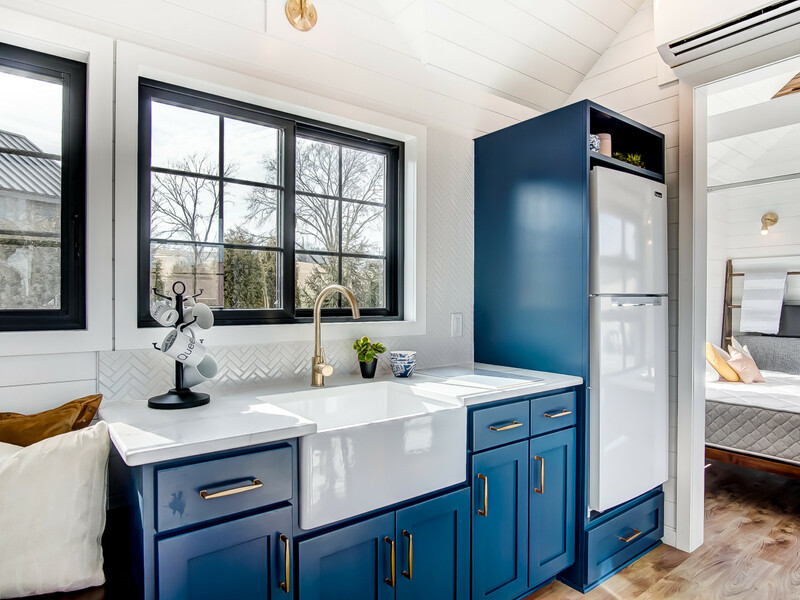 The house sits on a triple-axle trailer; it is finished in white engineered wood, has a metal roof, and even a garage-style door that lifts to reveal the outdoors. 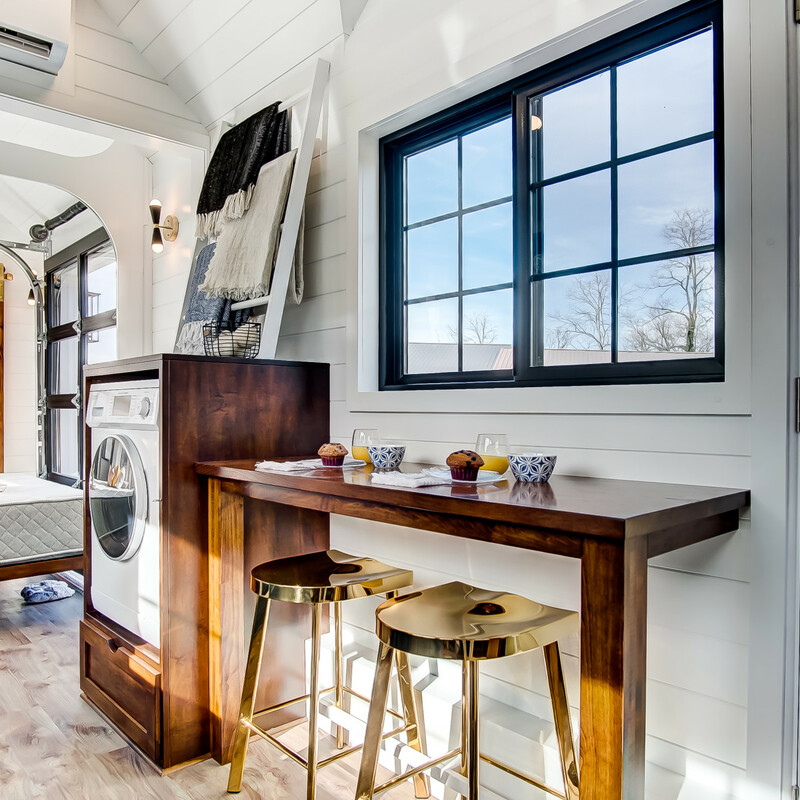 Inside, it has a washer and dryer, refrigerator, two-burner cooktop, toilet, and shower. 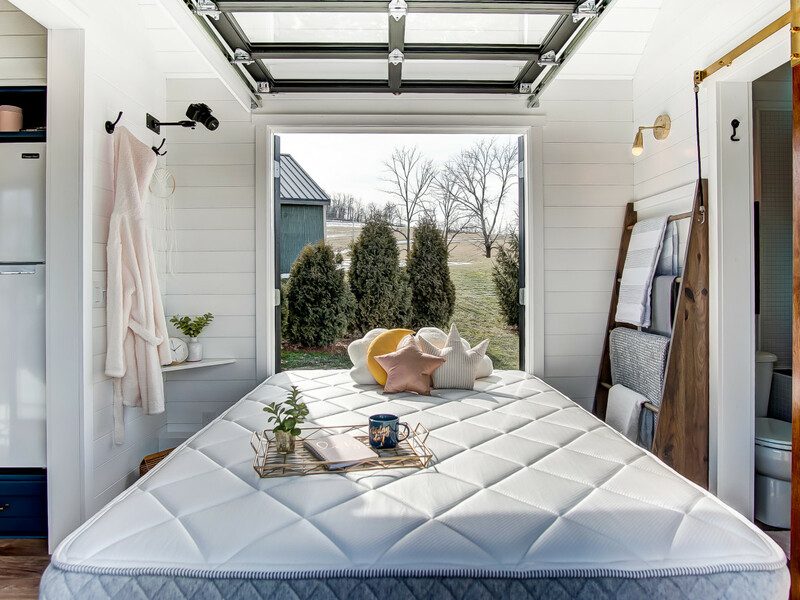 For the tour, the fully operative and shoppable house will showcase Allswell’s signature Luxe Hybrid mattress in the master suite and its lower price-point mattress, The Allswell, on a custom-built couch with storage and twin daybed, which can be transformed into an additional sleeping area. 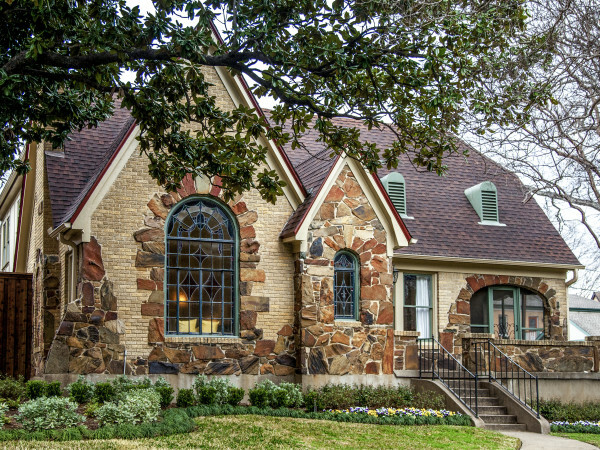 Upon arrival, guests will be welcomed with complimentary coffee and homemade sweet treats. 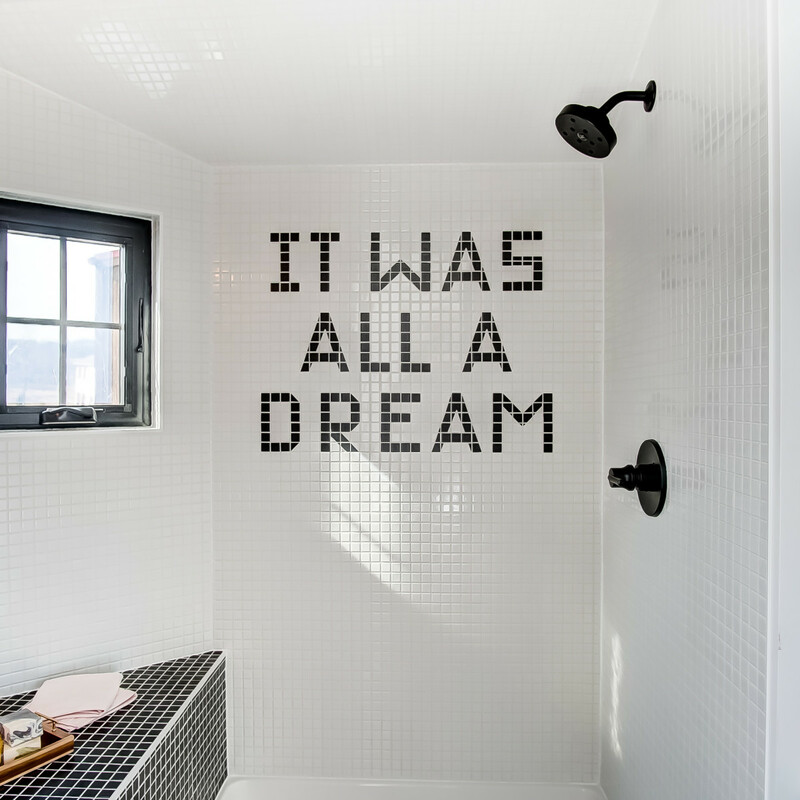 They'll will be encouraged to pull a surprise promo code from a “Dream Jar,” which will offer discounts that range from 10-20 percent off and unique codes ranging from $150-$500 off. 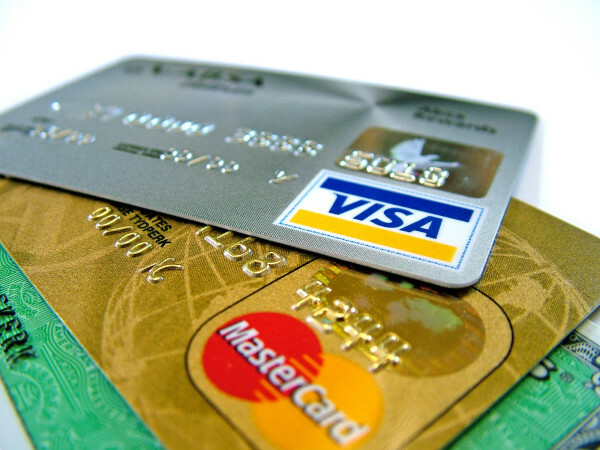 As they explore the home's quarters, they can shop and immediately buy the mattress and bedding items they see. 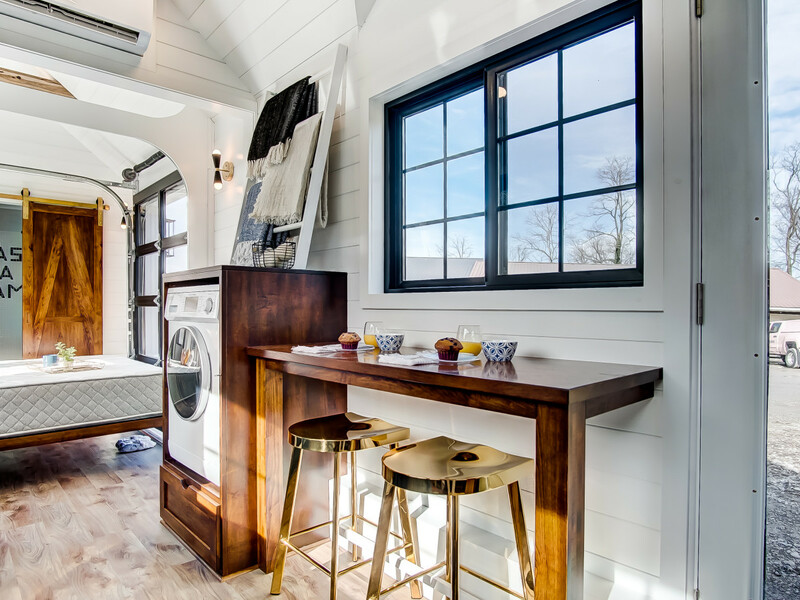 And for those who harbor their own tiny home dreams when they leave, an Allswell-designed tiny home will be available for purchase on their website, with a starting price of $100,000.